The April issue of the QCWA Journal is available in mp3 audio in the magazines and newsletters section of the members only portion of the website. The March issue of CQ Magazine is available in DAISY audio in the magazines and newsletters section of the members only portion of the website. The March issue of the QCWA Journal is available in mp3 audio in the magazines and newsletters section of the members only portion of the website. The February issue of CQ Magazine is available in DAISY audio in the magazines and newsletters section of the members only portion of the website. The February issue of the QCWA Journal is available in mp3 audio in the magazines and newsletters section of the members only portion of the website. The January issue of CQ Magazine is available in DAISY audio in the magazines and newsletters section of the members only portion of the website. The January issue of the QCWA Journal is available in mp3 audio in the magazines and newsletters section of the members only portion of the website. The December issue of CQ Magazine is available in DAISY audio in the magazines and newsletters section of the members only portion of the website. The December issue of the QCWA Journal is available in mp3 audio in the magazines and newsletters section of the members only portion of the website. The November issue of CQ Magazine is available in DAISY audio in the magazines and newsletters section of the members only portion of the website. The November issue of the QCWA Journal is available in mp3 audio in the magazines and newsletters section of the members only portion of the website. The ARRL General Class License Manual, 8th Ed, has been corrected in DAISY audio in the License Exam Prep section of the members only portion of the website. The October issue of CQ Magazine is available in DAISY audio in the magazines and newsletters section of the members only portion of the website. The October issue of the QCWA journal is available in mp3 audio in the magazines and newsletters section of the members only portion of the website. The September issue of CQ Magazine is available in DAISY audio format in the Magazines and Newsletters section of the members only portion of the website. The September QCWA is available in mp3 audio in magazines and newsletters in the Members Only section. The August CQ Magazine is available in DAISY audio in magazines and newsletters in the Members Only section. I have added a search box to the new Members Only landing page. You can find it after the Members Only links. 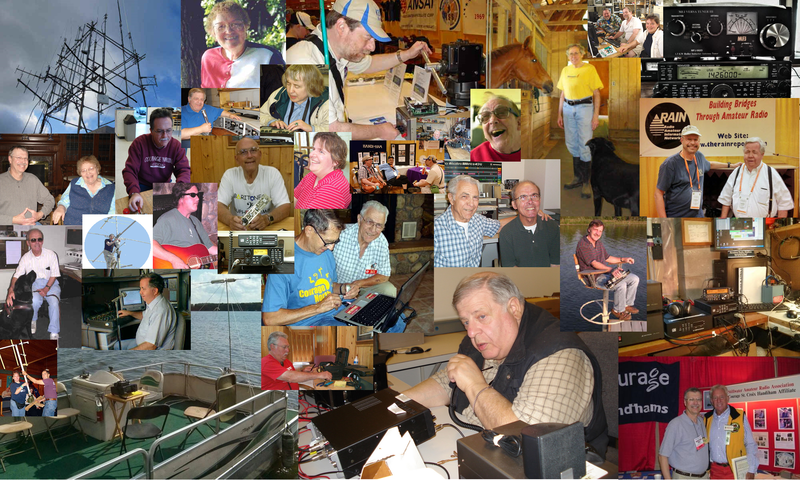 I have added the ARRL Public Service Manual to the Books section of the members only website. I have moved the resources links, taking them off the home page to make it more accessible for screen reader users. You can now find a link to the new resources page on the home page. I added a members only page redirect to help reduce the confusion for members who are logging in. The members only links will still appear on the homepage once you are logged in, but this should make it easier for those who have been struggling to know their login status. I have also removed the category specific RSS because some members were confusing those links with the members only links. I have added several more audio links for magazines in the Magazines and Newsletters section of the website. Check it out! I have the 2018 QCWA audio links up in the Magazines and Newsletters section of the website. I have also moved the older Handiham World E-Letters to that section. Taking them off the front of the website makes it easier to navigate with a screen reader. In the Members Only portion of the website, I have added a new tutorial from Jim Shaffer, KE5AL, on using JJRadio with the Flex 6300. The new Technician Class question pool is available in the members only section in both Mp3 and DAISY format. Many thanks to Jim Perry, KJ3P, for recording this for the Handiham Program! The updates to the General Class and Extra Class sections of the License Exam Prep in Members Only are complete. Please send any feedback to Lucinda.Moody@allina.com. Work around no longer needed! I have added code to our website that automatically redirects you to the new WordPress site without having to click on the link for the Courage Kenny Handiham Website. You will now automatically be redirected to the site when you go to https://handiham.org. As always, your feedback is appreciated, along with your patience, as I continue to work on the website. While I have been able to get the Handiham.org site to redirect to the new WordPress site, the members only section still has an issue that requires members to click on the Courage Kenny Handiham Program link after they have attempted to login. Until they do this, the website shows that they are not logged in. I will be working to get this issue fixed this week.